Movavi 3GP Video Suite is a two-in-one 3GP converter! Convert your videos, rip unprotected DVDs to 3GP and save for your mobile phone! 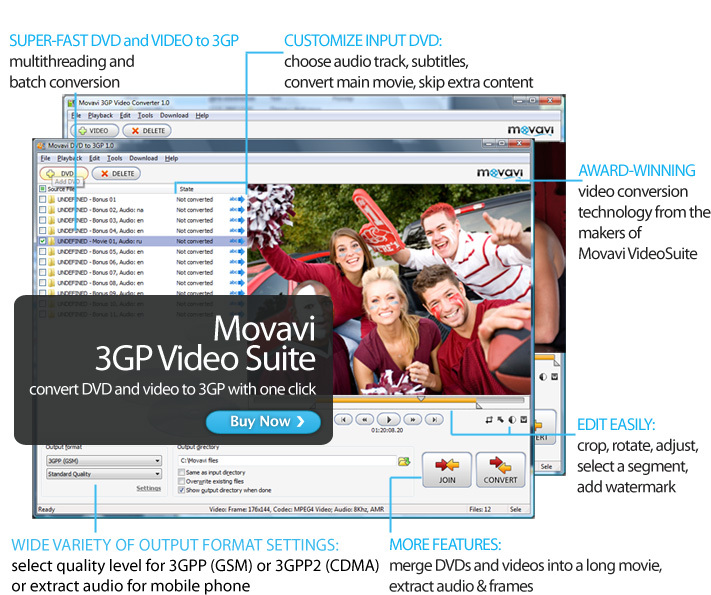 Movavi 3GP Video Suite includes 2 products in one package: Movavi DVD to 3GP and Movavi 3GP Video Converter.